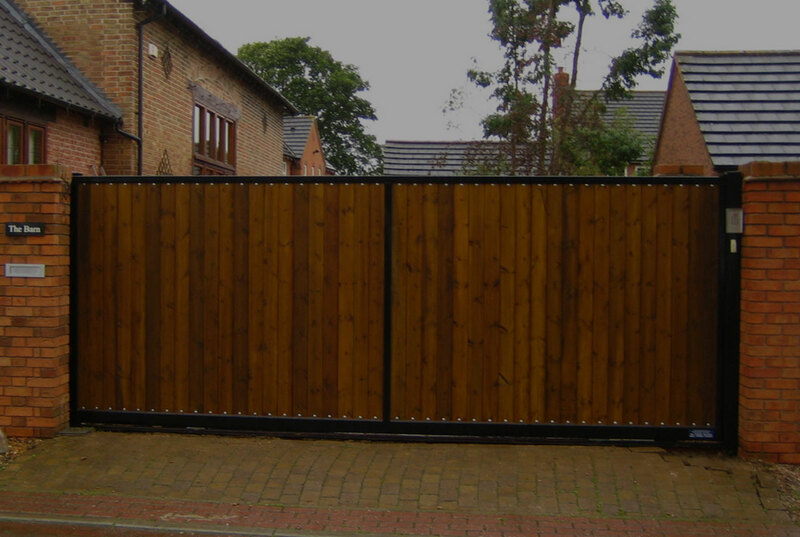 Timber gates have to be extremely well manufactured to withstand the forces & stresses imposed by automation. Our gates are fabricated with automation in mind and always have a minimum finished thickness of 65mm. Sapphire Gates only supply Timber Gate’s made out of either Oak or two Hardwoods; Iroko or Sapele, these are finished in a clear basecoat with two coats of undercoat and then a topcoat wood preserver. We deliberately selected Iroko & Sapele for our premier range of timber gates as they are recognised as being two of the world’s most durable woods, having a low shrinkage factor and good natural resistance to moisture and decay. Each Gate is secured to the frame by stainless steel coach bolts, giving the distinctive studded effect to the front face of the gate. The steel frame gives the rigidity and strength to support the attachment of any required gate automation, or configuration as a sliding gate.